You need two polishes, one for the background (I'm using the newer Boy Next Door by Essence) and one for the snowflakes (Snow Me White by Sinful Colors). I also recommend a quick-drying top coat (Sally Hansen InstaDri is my all time fave). An optional extra is an iridescent glitter polish (here Crystal Shimmer by Accessorize) to add a bit of sparkle to your snow. You'll also need a bit of foil or plastic, and a tool to work with. You can use a small dotting tool, but I'm going to show you with a toothpick. 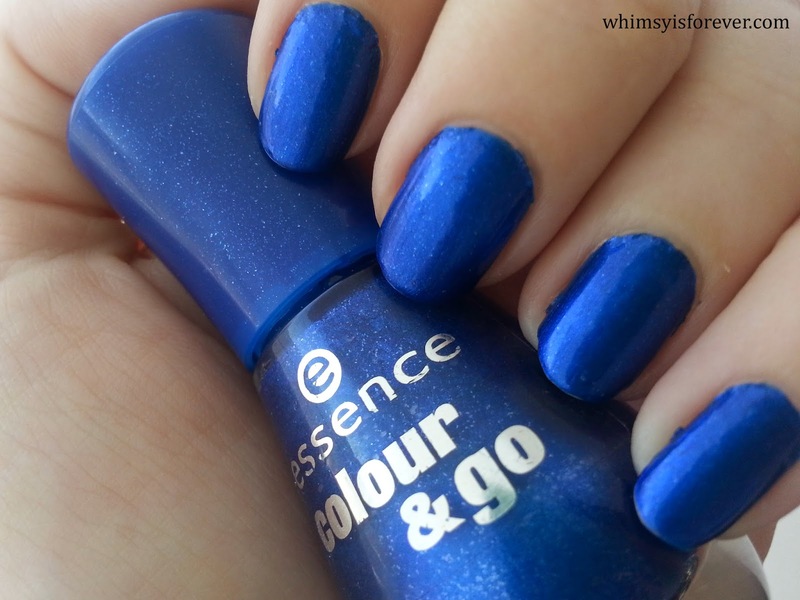 First up, get your background colour ready (remember to use a good-quality base coat to protect your nails and extend wear time). I recommend sealing your polish with top coat now - this means that if you make a mistake with your nail art, you can quickly erase it with a cotton bud dipped in polish remover without removing the underlying colour. Now, to get started. 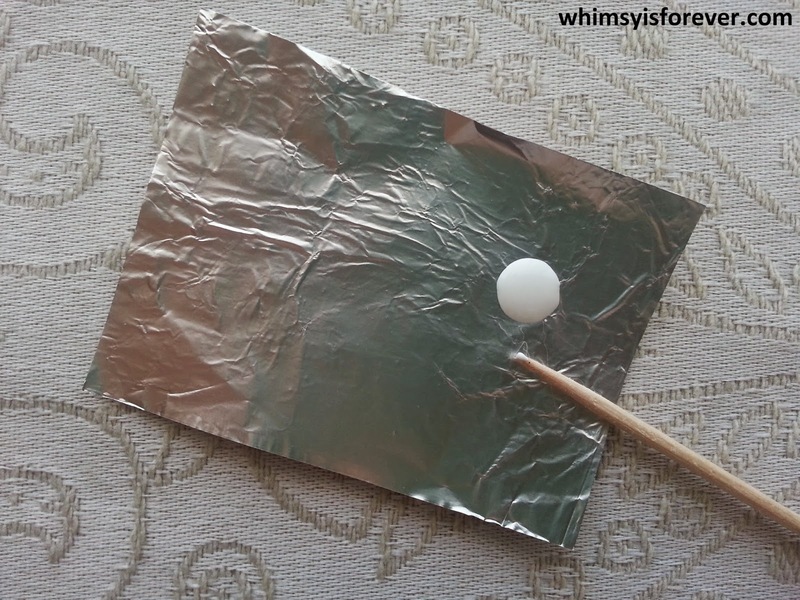 You're going to use your piece of foil or plastic like a disposable artist's palette. 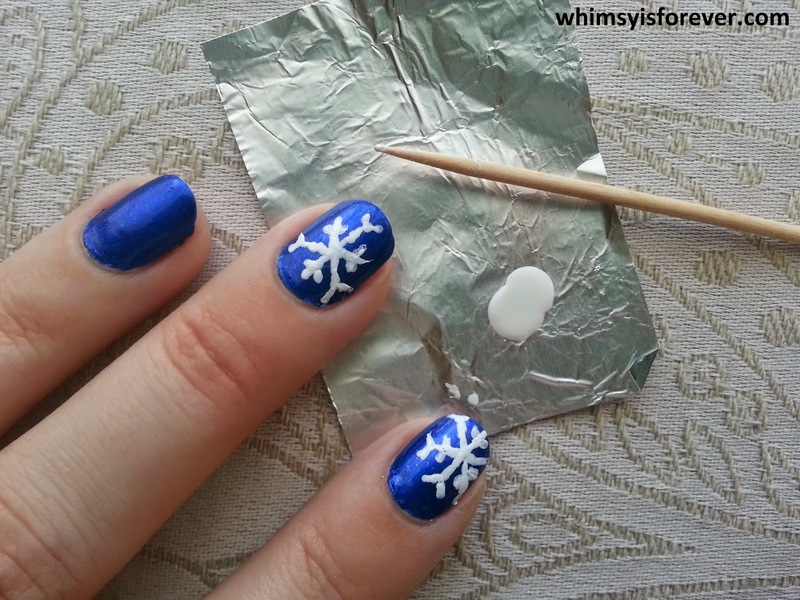 Add a small drop of your white polish. For this to work neatly, your polish mustn't be thick or gloopy. Get a little bit of polish on the end of your toothpick. 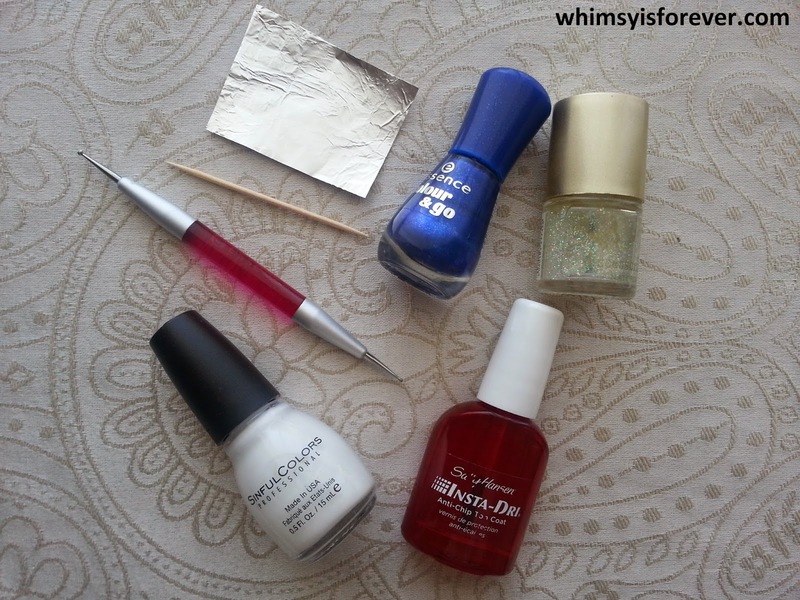 If you want, first practice drawing a line on your foil to get an idea of how much polish you need to use. Draw three intersecting lines on your nail to form your star. 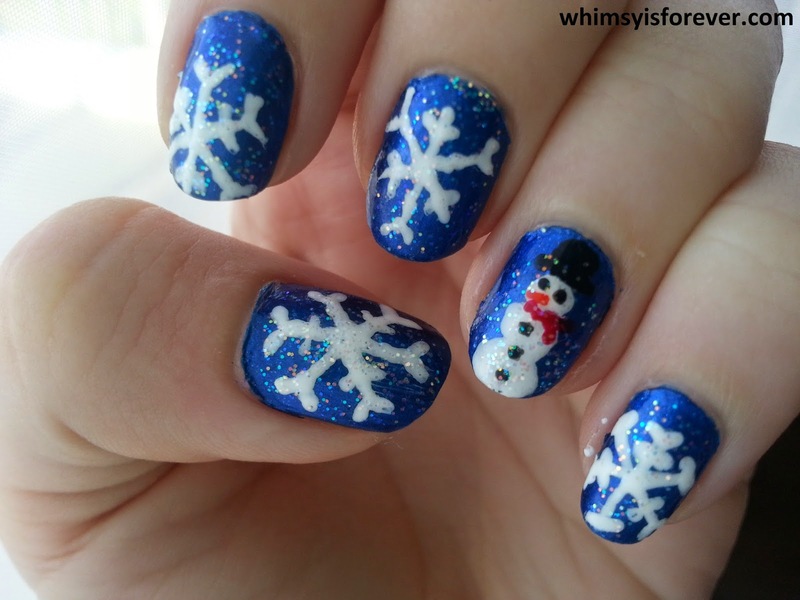 I like to do each snowflake in a slightly different place on the nail. Start off smaller than you would like your snowflake to be, because we'll grow it in the next step. 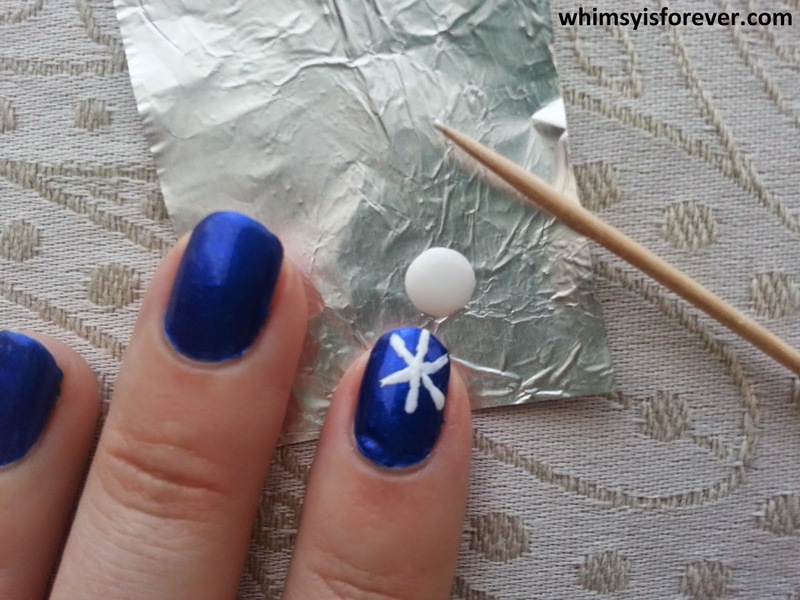 To turn your star into a snowflake, add a small v-shape to the end of the lines. You can also add small branches in the middle of the lines to add detail. And it's that simple! Continue for the rest of your nails. You might need to add another small drop of polish to your foil if your existing drop starts to dry out. 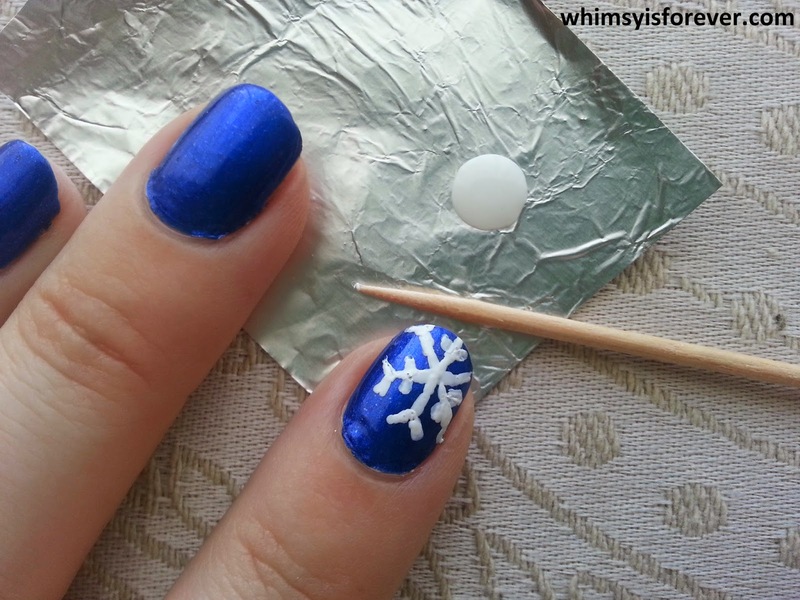 Come back on Fridayto see how to create the snowman on my accent nail! 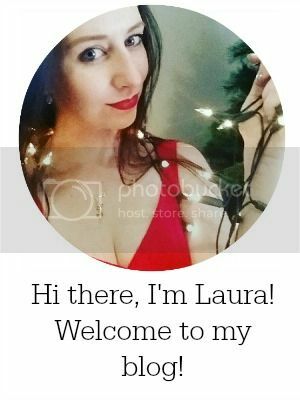 Stunning, you have way more patience than me! LOVE your snowflakes!!! I am not very good with freehand stuff but I so wish I was so I could recreate this. Thanks Michelle! I wish I had a fraction of your nail skills!